ES Systems has developed ESRF-HF Series, a family of insertion gas flow transmitters, based on the hot-film anemometer principle for mass gas flow measurements. 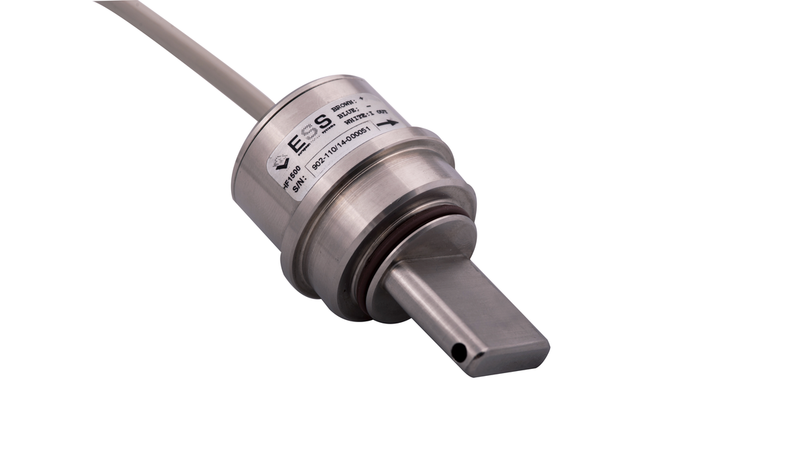 The ESRF-HF Series is a family of mass flow sensing systems which enables fast and accurate measurements of gas flow over a wide dynamic range. Each system integrates a MEMS flow sensor and readout electronics inside a housing with very small form factor made from stainless steel. The duty pressure of the flow transmitter is 11bar. All measurement data are fully calibrated, and temperature compensated on board, leading to a reduced temperature coefficient and high measurement accuracy. The standard system provides analog signal output, with excellent repeatability and hysteresis combined with good resolution. Calibration gas is air, but other non-aggressive gases can be also available upon request. The compact size of the ESRF-HF Series flow transmitters combined with the ruggedized stainless-steel housing makes them ideal for use in industrial applications within confined spaces. For easier handling and mounting, a series of in-line pipe adaptors (?20, ?25, ?32) is also available upon request. Accuracy: ± 2 % m.v. + 0.3 % F.S.